Two of the world’s most famous male statues have been reimagined as domestic gods for a new Samsung campaign. The figures, which have been installed around central London, feature near-identical versions of the original masterpieces bar a few unmissable tweaks. 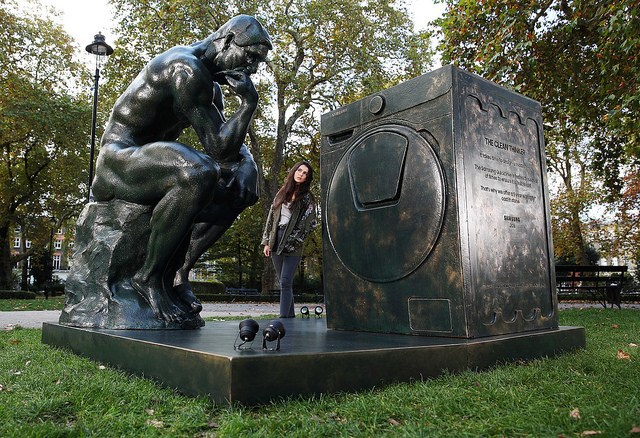 Michelangelo’s David has been recreated wearing pants, with a shirt flung over his back, as he takes charge of the weekly wash while Rodin’s ‘The Thinker’ poses, deep in contemplation at a washing machine. Each statue took a six-strong design team two months to create, working from a variety of sources to recreate a faithful rendition of each sculpture in detail. 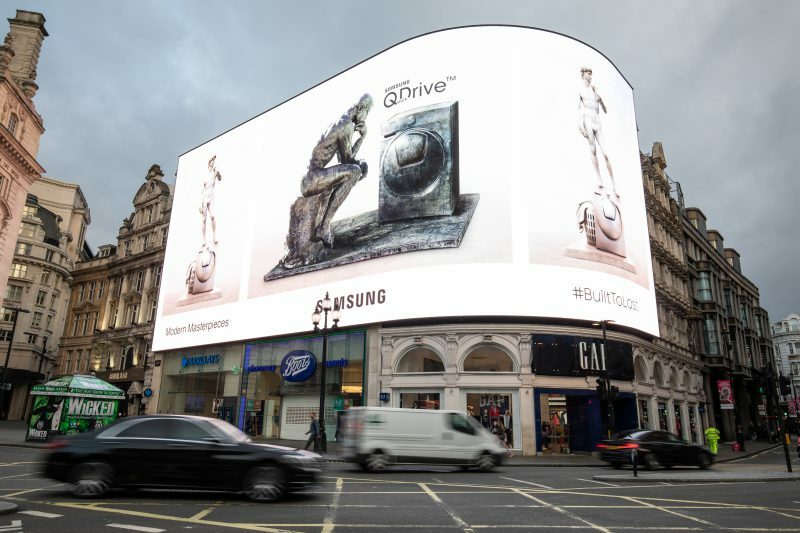 The reimagined statues of iconic male nudes give a humorous nod to revealing new Samsung research which found that 75% of men have little or no idea how to operate the domestic appliances they have at home. 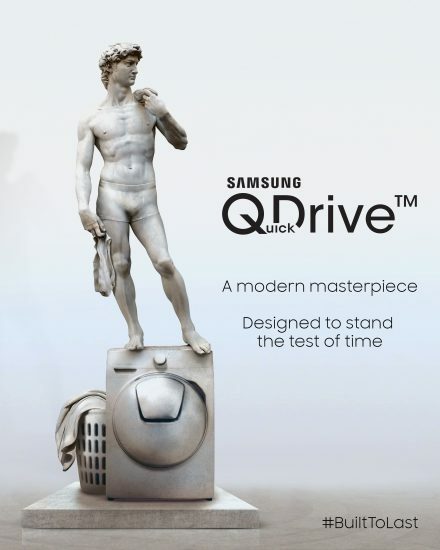 Samsung’s ‘Modern Masterpieces’ campaign has been designed to highlight the durability and design credentials of their Home Appliance range which includes the revolutionary QuickDrive washing machines featured in the sculptures. 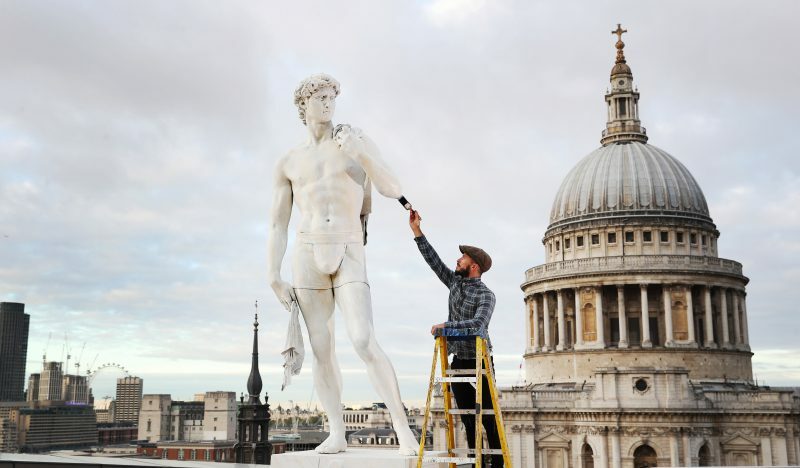 The statues of Domestic David and The Clean Thinker have been installed at central London locations including One New Change, Kings Cross, Russell Square and Battersea Park. The campaign is supported with digital advertising including a full screen take-over at Piccadilly Circus in London.